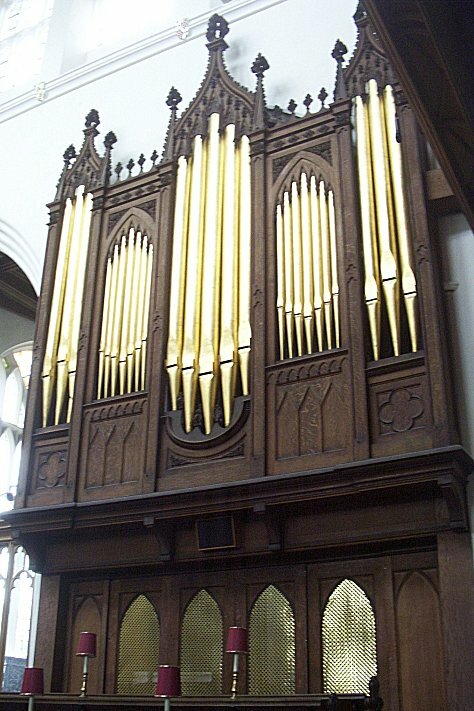 This impressive instrument is descended from an organ by Cambridgeshire builder John Vincent completed in 1824 at a cost of £800 (present-day equivalent = £80,000). It has experienced various rebuilds, but the most significant recent changes were made in 1997 by David Wells of Liverpool, when a fourth manual and some digital Pedal stops (including a Contra Bombarde 32ft) were added. 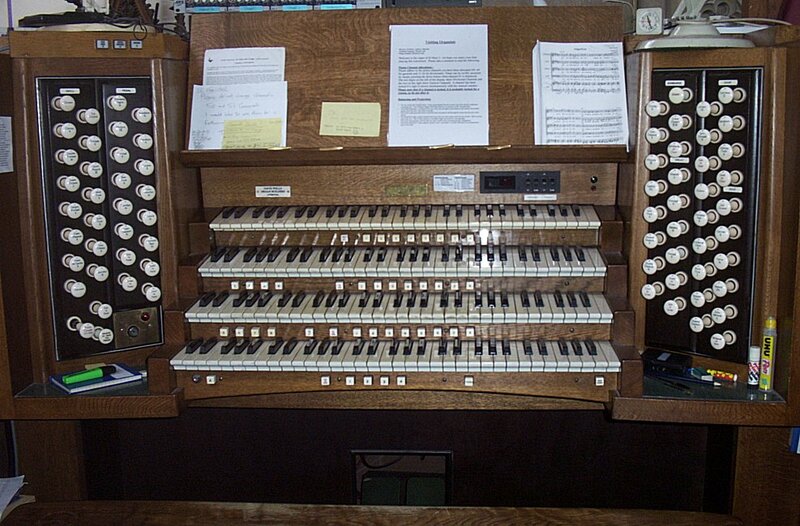 The organ actually has five manual divisions, a Bombarde section being playable from either Great, Choir or Solo keyboards. Installed by HN&B in 1971, when the organ underwent a radical tonal restyling, is a stunning Trompeta Réal that is not only en chamde (see photo, above left) but also speaks directly over the heads of the congregation (with devastating effect!) on the south side of the nave. The console is built on a Rood screen, which also hosts the Choir division pipework, not visible from the nave. The rest of the organ is situated on the south side of the chancel, which the organist faces when sitting at the console. 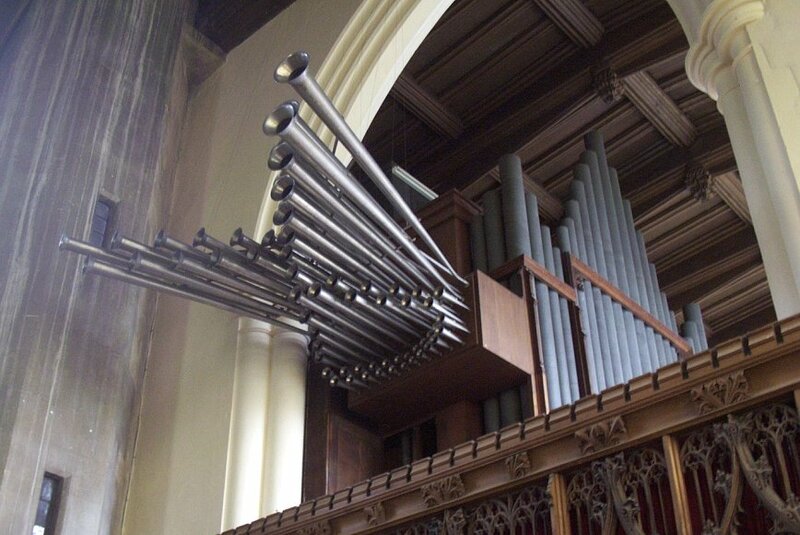 The latest work of cleaning, carried out by local builder Peter De Vile in 2007, was made possible as a result of a bequest by the late Cyril Coe, Assistant Organist at the church for 59 years.